Lieutenant Huffman with SCOPE Officers Pottle and Askins. 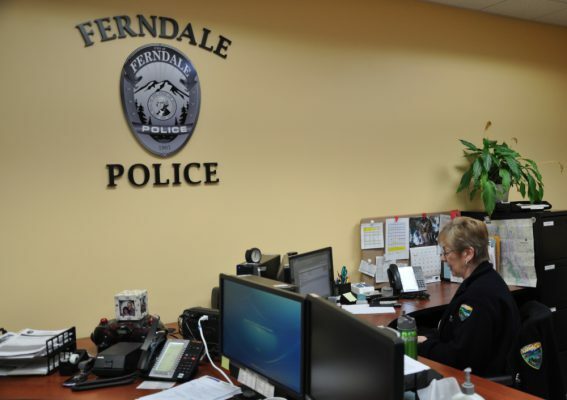 It’s been nearly 20 years since the inception of the Ferndale Police Department’s Senior Citizens on Patrol Enhancement (SCOPE) program, and we still have one of the dedicated, original volunteers working with us! These men and women are valuable members of the Department, patrolling parking lots for disabled parking violators, performing security checks on vacant homes, operating the radar reader board, and assisting with traffic control and community outreach during special events. SCOPE volunteers must be between the ages of 55 to 70 and able to volunteer for one shift per week for at least nine months of the year. They must have a valid driver’s license, be willing to be involved in training (initially 12 to 16 hours), have the abilities to perform assigned duties, and pass a fingerprint background check. They are supplied with uniforms, badges and ID cards, but must supply their own black belt and shoes. If you’re interested in becoming a SCOPE officer, contact Lieutenant Matt Huffman at 360-384-3390 extension 5724 or email mhuffman@ferndalepd.org. At times, during staffing shortages or special projects, we use volunteers in the office. If this interests you, and you have a clerical background, are over 18 years of age and can pass a fingerprint background check, stop by for an application or give Ronaye a call at 360-483-5745.